Lorenzo E. Roscoe, 30, of Norfolk, pleaded guilty to armed robbery and firearms charges in district court, G. Zachary Terwilliger, U.S. Attorney for the Eastern District of Virginia, said. Lorenzo E. Roscoe pleaded guilty to robbing five convenience stores in Norfolk, Chesapeake, and Portsmouth. 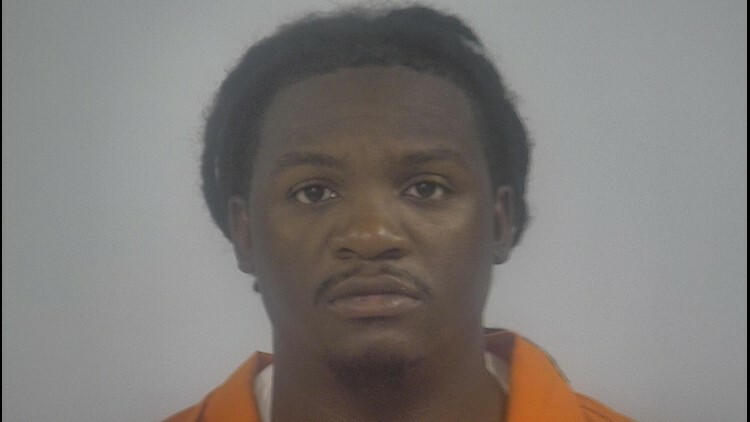 NORFOLK, Va. (WVEC) — A Portsmouth man was sentenced to 14 years in prison Friday for a string of armed convenience store robberies across Hampton Roads. Back in June, 30-year-old Lorenzo E. Roscoe pleaded guilty to armed robbery and firearms charges in district court, G. Zachary Terwilliger, U.S. Attorney for the Eastern District of Virginia, said. Roscoe admitted to armed robberies of two Dollar General, two 7-Eleven stores and one Family Dollar store in Norfolk, Chesapeake, and Portsmouth, according to court documents. Prosecutors said Roscoe would enter the stores wearing a disguise and brandishing a firearm while demanding money and cartons of cigarettes. After Roscoe’s vehicle was identified on surveillance video, police set up surveillance and followed him as he drove to another Dollar General store wearing the same clothing he wore for the other robberies. As Roscoe was about to enter the store, officers apprehended him. Police found a gun inside a bag that he carried with him to all the robberies.